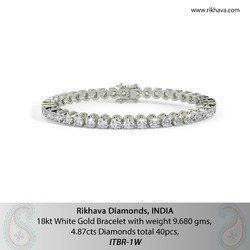 We offer high quality range of Diamond Jewelery Sets. These Diamond Jewelery Sets are perfect to be worn by ladies in various functions like weddings, engagements and other special occasions. The quality of our range is testified by advance techniques used by us and it is always up to the mark. Our client can avail our range at market leading prices. With an aim to provide the choicest of diamonds to our valued patrons, we are offering effective and reliable services of skilled and well-trained Diamond Merchants. Well-versed in the nuances of the industry, these professionals go an extra mile to procure the finest quality diamonds for the benefit of our prestigious clients. Stunning 18k Rose & White Gold Diamond Pendent by Menghraj. That is a must have for all your Neutral Outfits. 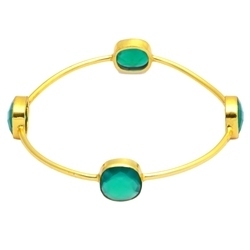 Add this Beautiful piece to your style to add on some Sparkle and Beauty to your everyday style. This pair of 14KT yellow gold stud earrings features ten round brilliant cut diamonds that fall within the I-J colour range and SI2 clarity grade. Each earring showcases a J design, accentuated with five diamonds that are pave-set on rhodium-plated circular elements. The circular elements are highlighted within the J-element.